The increase in income inequality has inspired elected officials and policy makers to revisit ideas once considered far-fetched, with universal basic income at the forefront. 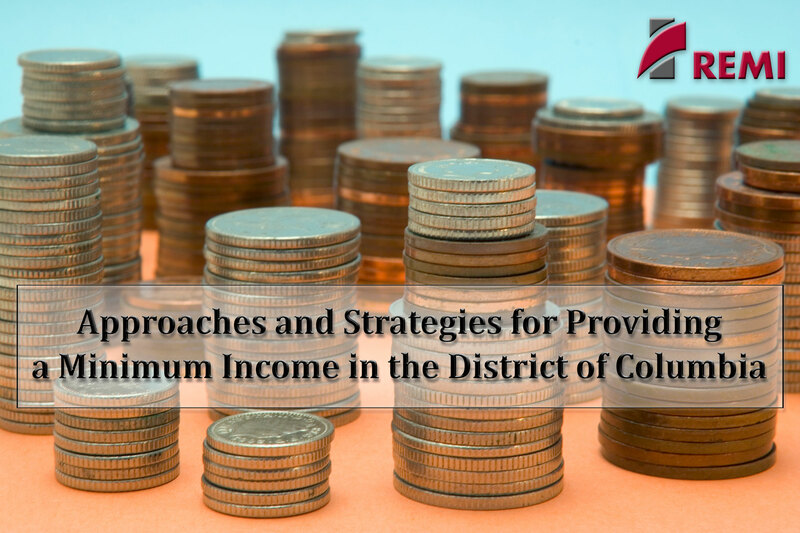 The Council of the District of Columbia’s Office of the Budget Director analyzed what it would take to ensure that every D.C. resident receives sufficient income to afford all their basic needs. Its researchers assessed the cost of living and the potential economic impacts of prospective minimum income programs. You are cordially invited to a REMI-hosted guest webinar presentation on Wednesday, June 13th, 2018 from 2 to 3 p.m. EST by Budget Director Jennifer Budoff and Senior Budget Analysts John MacNeil and Susanna Groves from the Council of the District of Columbia’s Office of the Budget Director. For their presentation, Ms. Budoff and her team will discuss the key findings from their report on universal basic income. They will examine how far the current social safety net goes in helping low-income families meet their needs, what the D.C. government could do to ensure all families have sufficient income, and the fiscal and economic implications of such a program.